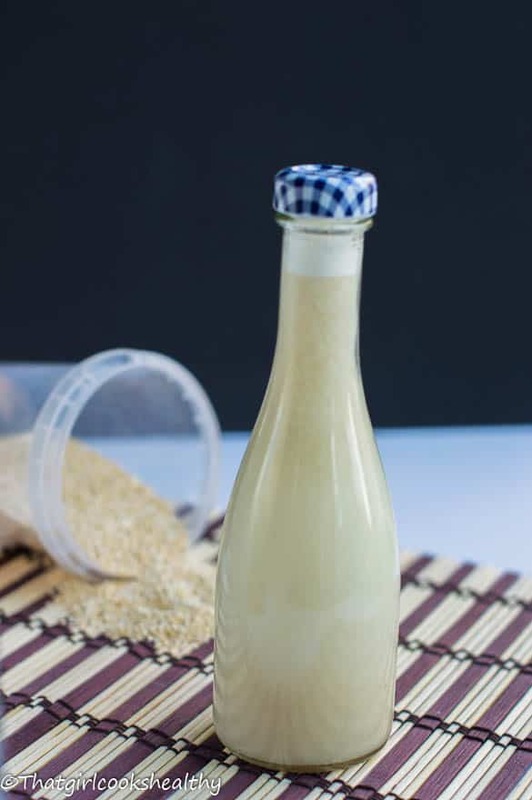 Homemade quinoa milk – Diversify the use of quinoa seeds by prepping some quinoa milk, simply boil the seeds then blend with water, ready in a minutes. Dairy free milk is on the increase, so many people are opting for these delicious dairy free alternatives. 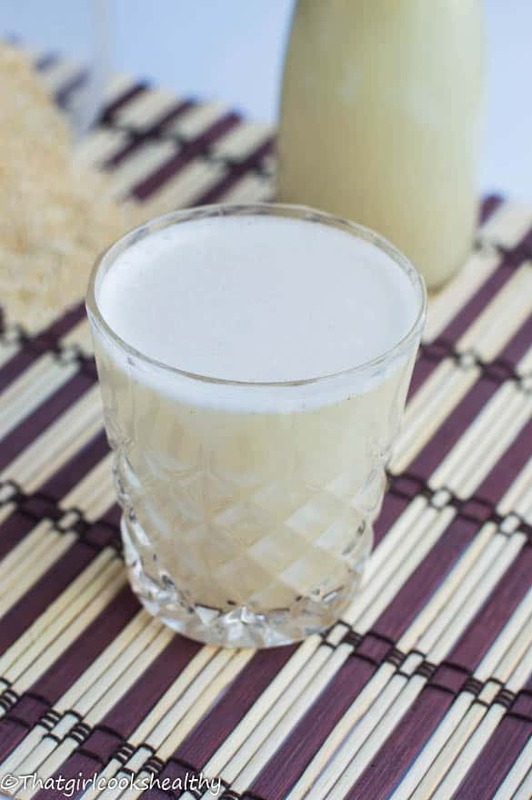 There are so many to choose from; Almond, Cashew, Coconut, Oat, Macadamia, Quinoa milk – the list is endless. I haven’t been blessed with the opportunity of being able to staple this long list of milks, maybe in the foreseeable future I will so watch this space. 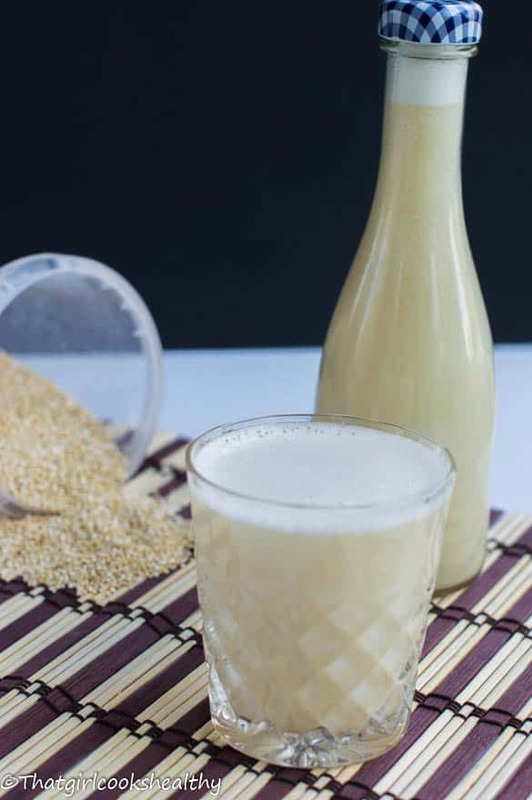 I discovered homemade quinoa milk by accident, what happened, I was in the process of looking up a recipe which contained quinoa and stumbled on quinoa milk. At first I was apprehensive, my concerned lied with the taste – would it be disastrous? I will say that quinoa has an acquired taste – either you love it or hate it. Is quinoa a grain or seed? Contrary to popular belief, quinoa is NOT a grain it is actually a seed, not just any ordinary seed, it’s been dubbed a superfood due it the many health properties; protein enriched with the essential amino acid (the building blocks for protein), fibrous and full of minerals. No wonder quinoa makes a viable dairy free option and converting quinoa into milk is fairly simple too. I started off by cooking the quinoa until it become translucent; some people prefer to soak the seed for several hours or overnight to retain its raw form. Then added the cooked quinoa my blender with more water, once it is blended you can decide to either strain the excess pulp or give it a good stir once it settles at the bottom of the jug. I personally didn’t strain my milk as it yielded a nice creamy texture that I wanted to keep. Pour the quinoa into a saucepan with the 2 cups of water. Cook quinoa under low heat until it begins to look translucent. 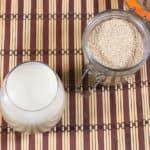 Transfer the cooked quinoa into a blender with water, salt and vanilla.